As your favorite Townsville Hair and Beauty Salon. We don't do appointments. We do Experiences. When you visit Capelli Hair Gallery | Hair Salons Townsville, you will discover a hair and beauty salon where things are done differently. At Capelli, everything is about you and your experience. We do much more than simply create haircuts or looks. We create experiences. Experiences for you. At Capelli, everything is about you and your experience. We do much more than simply create haircuts or looks. We create experiences. Experiences for you. 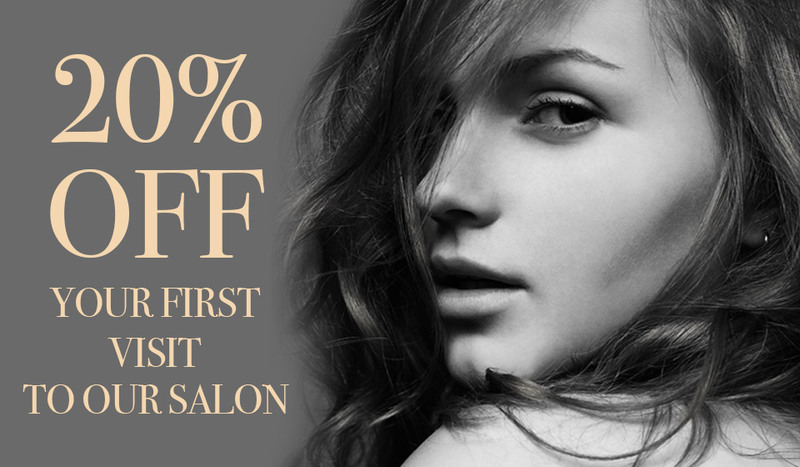 When you visit Capelli Hair Gallery, you will be welcomed into a modern, smart, sassy hairdressing and beauty salon. A salon that’s full to the brim with friendly, professional Townsville hairdressers and beauty therapists. You will be able to relax, unwind, and receive some well-deserved pampering. Upon arrival, you will be ushered in by our warm and friendly receptionist. Cool/warm towels will follow, and you will be invited to make a selection from our extensive refreshments menu. A refreshing hot towel accompanies any treatment, and if you take advantage of our colour services, you will enjoy some extra pampering with a complementary foot spa or massage. We also do breakfast platters for our wedding parties, so you can add that extra bit of special to your special day. Add to the list a loyalty program and free wi-fi, and you can see that we've got all the little things covered. When you enjoy a Capelli experience, you'll take home more than just a new haircut. We believe in educating you so that you are empowered with the know-how to re-create your style at home. Our Townsville hairdressers always explain to you how you can get the best out of your style and colour in between visits. Entrust us with your hair, and we'll entrust you with the knowledge to care for it. Our Townsville hairdressers and beauty specialists can't wait to see you. Book your Capelli experience today. Call us on 4724 5554, or pop in to reserve an amazing hair and beauty experience for you . We look forward to treating you to your very own Capelli experience soon. Great Lengths hair extensions are handcrafted in Italy. The hair originates from the temples in India where it has been willingly donated as a sacrifice to the gods of the temple. Youngblood Mineral Cosmetics is a full professional mineral makeup range. All Youngblood products are formulated with 100% pure luxurious minerals. Cloud Nine Hair has been revolutionising the face of modern hair since 2009 when we launched our original Cloud Nine temperature control Iron, a new breed of hair straightener. As the professional skincare industry changes, increasing focus is being given to the instant results laser treatments, injectables, chemical peels. Discover the official ghd website ghdhair.com/au for the latest ghd straighteners, hair products, brushes, accessories & gift ideas. With innovation deeply rooted on their DNA, they have continued to REinvent hair over the past 120 years making true milestones in haircare – the company is now one of the top three professional hair care brands in the world, with a hairdresser community that stretches around the globe! As a co-owner of this amazing business that Jodi and I share together, it is my responsibility to stay committed and passionate about our industry and most importantly about our client experience. I consider myself very blessed to be one of few that truly love their work and to be able to enjoy my craft in an environment such as Capelli Hair Gallery is a dream come true. I see hair as an art form, so each one of my clients becomes my masterpiece. Every day I dedicate myself to make each and every one of my hairstyles perfect as let's face it. Hairdressing is not just a job for me, it is my passion and has been for the past 12 years. Since starting my career in hairdressing I have discovered my love of fashion, beauty and of course beautiful hair! We don’t do hair and beauty appointments. We do hair and beauty experiences.